As far as I can remember, SEC football fans’ feelings have always been the same with regards for Mississippi football: The state’s teams aren’t relevant. Ole Miss and Mississippi State have never really threatened perennial Southeastern Conference foes such as LSU, Alabama and Florida. The Egg Bowl has never been relevant either. The annual clash of the Rebels and Bulldogs has never shared the spotlight with the Iron Bowl (LSU vs. Alabama), or the Florida-Georgia game. That is all drastically changing this year. The Egg Bowl is shaping up to be the game of the season, especially if both teams go undefeated until that point. The game could also decide the structure of this year’s college football playoffs. ESPN college football analysts have recently called Mississippi a “football heaven.” For the most part, this distinction is fairly true, given the fact that both football powers in the state suddenly rose to the top at the same time. Mississippi is unique in this way. Few states, other than Alabama, can say that they house two or more top-tier athletic programs. This interesting dynamic fuels in-state rivalries and pushes colleges to be better in every aspect, not just football. I was born in rural Louisiana, and taught from day one to cheer for the LSU Tigers. There is no other team worth rooting for. Sure, there are the UL Ragin’ Cajuns and the Tulane Green Wave, but everyone in Louisiana understands that LSU is the only team worth investing your time in. In Mississippi, however, choosing your allegiance can be a treacherous process. I recently overheard one Ole Miss fan say that his parents attended Mississippi State and therefore are Bulldog fans, but he chooses to root for the Rebels because he knows more people there and believes the school is more fun. For some people, it is simply based on geography. If you grow up in Starkville, you are likely to root for the Bulldogs. This year, as both Mississippi State and Ole Miss rise to the ranks of the elite, we could be witnessing one of the most historic years in recent decades for Mississippi athletics. Expect enrollment in the two colleges to rise, as Mississippi high schoolers feel a renewed sense of pride in their home state and choose to stay in-state for college. Expect the two colleges to vamp up athletic funding and build bigger stadiums or get better equipment. Expect Ole Miss and Mississippi State to continue to dominate in college football as the recruiting becomes easier and easier for head coaches Hugh Freeze and Dan Mullen. 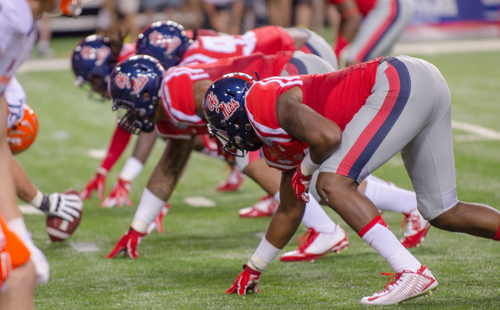 Finally, expect the Egg Bowl to be one of the most exciting games you’ll see all season.